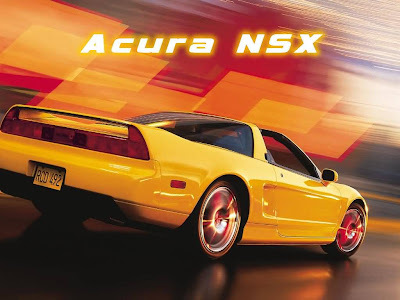 The Acura New Sportscar eXperiment (NSX) was launched in 1991 and shocked the world because no one was expecting a car like this from Honda/Acura. The NSX consisted of an all-aluminium body, chassis, and suspension. Equipped with a naturally inspired 3.0L V6 that can generate 216 kW (290 bhp) and 304 N·m (224 ft·lbf) of torque. This mid-engine, rear-wheel driver car also introduced Honda's famous VTEC technology. After 15 years, Honda ended production of the NSX in 2005. There were rumors that Honda's High-Performance Sports Concept (HSC) was to replace the NSX, however those rumors have died down. I like the look of the HSC, it looks like something that would come from an Italian car company, not Honda. All I can say is, the HSC look beats out the ASC look any day of the week! My name is Krystle Koester I was browsing internet and found your blog. The author did a great job. I will subscribe to your RSS feeds. Thank you for your contribution. I am a web designer myself. And here some examples of the websites that I designed for payday loan payday loans canada company.